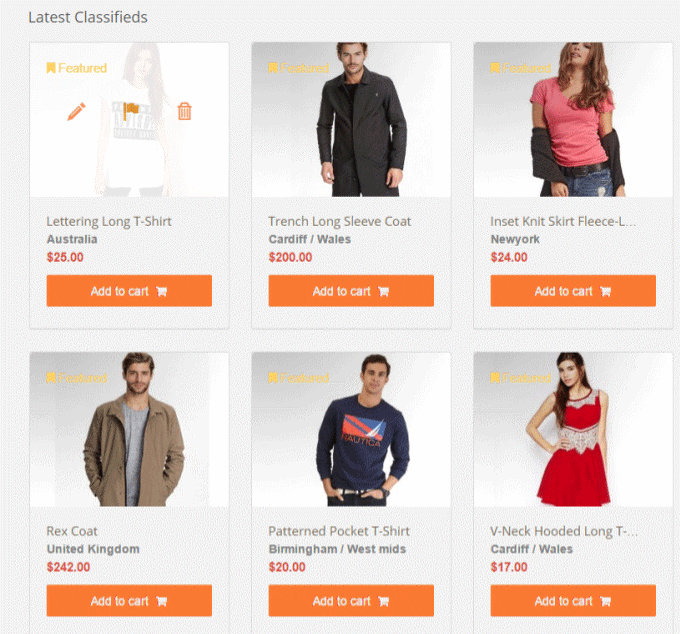 CE Shop is the result of the integration between ClassifiedEngine and WooCommerce. Therefore, you have to activate WooCommerce in your site first before installing CE Shop. 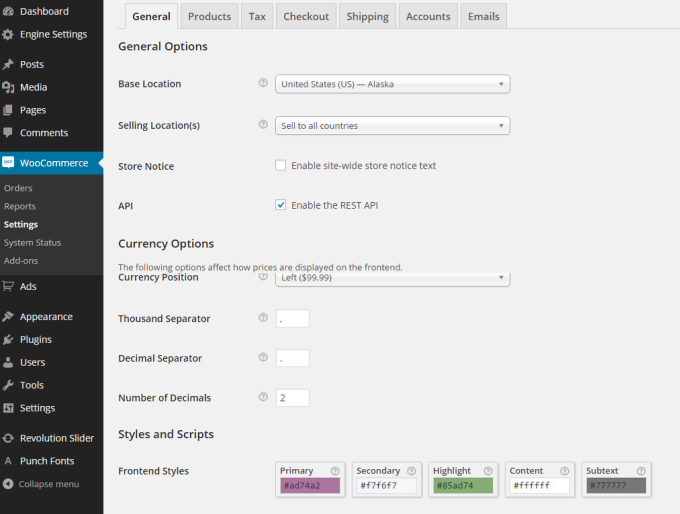 After that, you can visit WooCommerce settings tab in the back-end to set up your CE Shop. Search “WooCommerce” and you will then see a list of plugins, choose WooCommerce – excelling eCommerce. Click Install and Activate the plugin. Before doing the installation, you need to back up your site completely. CE Shop is officially compatible with ClassifiedEngine from version 2.0, for those who don’t want to use CE Shop, you can use ClassifiedEngine version 1.x. Choose Plugin > Add new > Search for CE Shop > Click Install and Activate. 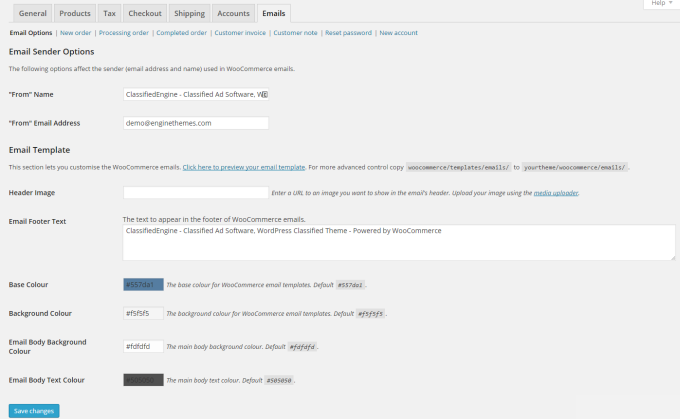 You can find the settings in the WooCommerce tab, there are 03 sections you need to set up: General, Checkout and Emails. Just like its name, you can set up all the general information for the extension and how the information is displayed in the front-end. It includes location, currency and front-end styles. In this tab, you just have to set up the payment gateways. 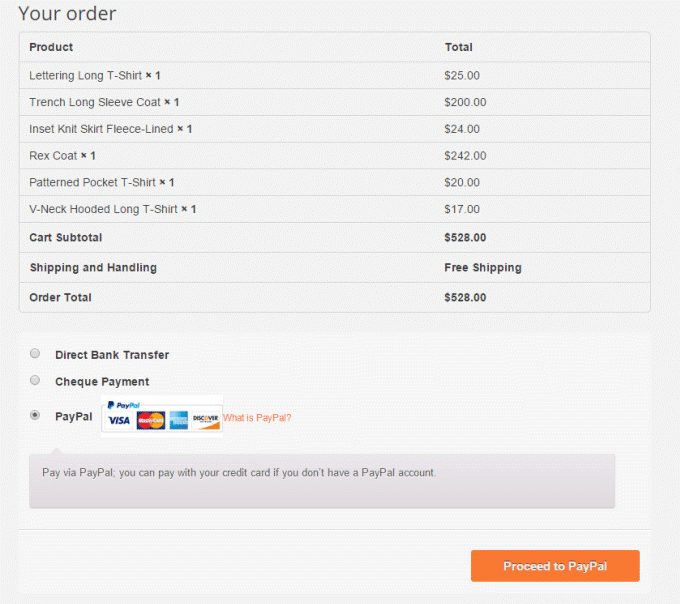 You don’t have to set up the Checkout Process, Checkout pages as well as the Checkout Endpoints. 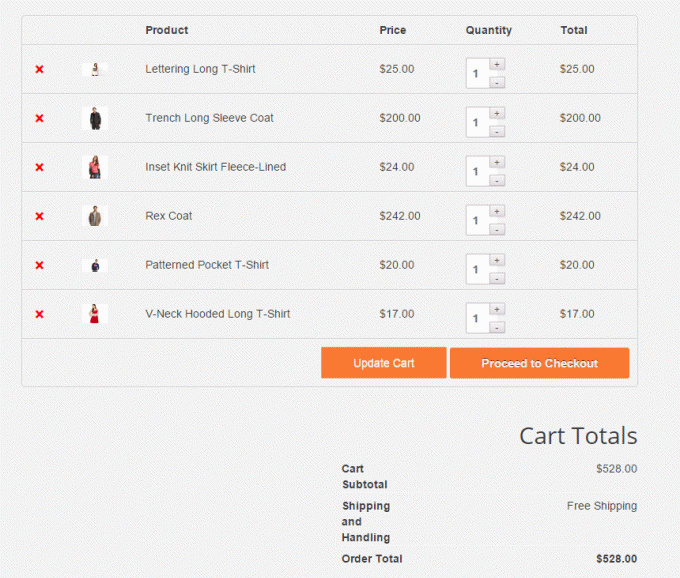 - You can simply drag the options to arrange their orders. - Choose the default payment gateway by checking the “default” option. - Enable or disable the payment gateways by clicking on the status. - Change the payment gateways’ description by clicking the “settings” button. 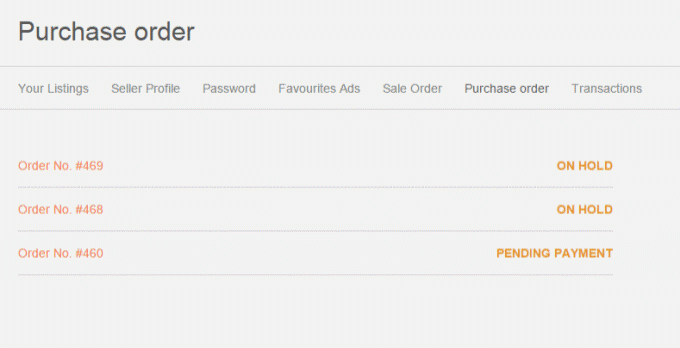 - You can also buy the other payment gateways plugins such as” PayPal, Stripe from WooCommerce’s site. Once you activate the extension, users will find an option to add the product whenever they hover over the ad. They can add as many products as they want and review them later. Once users complete their reviewing, they can start making the payment. They have to fill in all the needed information for the order as well as the destination. And the best thing is, there are various payment gateways for you to set up. As mentioned above, the theme is compatible with WooCommerce so that you can integrate any payment method based on your need: PayPal, Cheque or Direct transfer, etc.